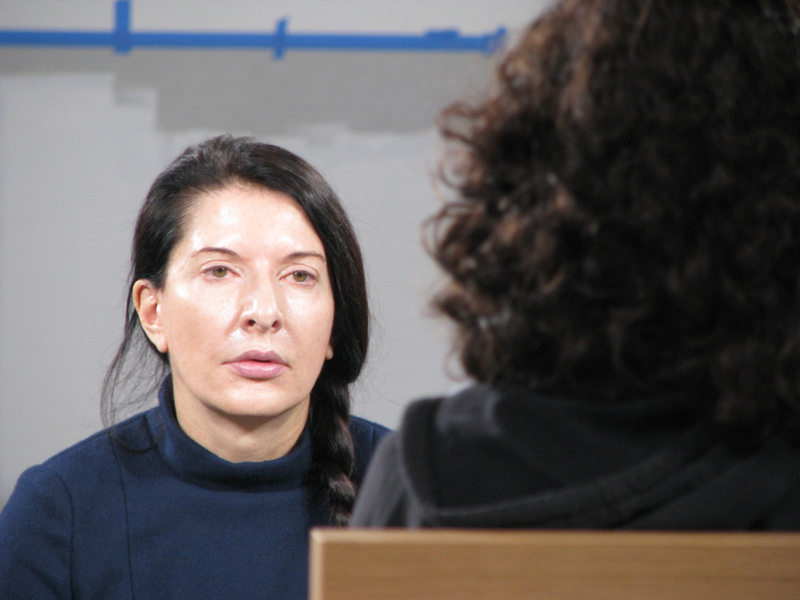 In my Power 100 post, I noted Marina Abramovic as an artist featured on the list. She’s, certainly, one of my favorite artist. Her pieces entail notions of self with Other, limitations of the body, and physical endurance. Due to the write-up I’m currently working on for the La Postra Nostra collective, I wanted to keep the posts on this particular genre of art (primarily for selfish reasons – I need to focus and gain inspiration for my own writing). New York Times writer, Holland Cotter, wrote an article titled, Performance Art Preserved, in the Flesh about her most well-known pieces. Enjoy! Posted in Art, Performance and Conceptual and tagged as art criticism, art history, contemporary art history, endurance, holland carter, marina abramo, new york times, other, otherness, performance art, postaday2011, self. Wow — I’m learning so much here. That was an interesting article. One thing that leaped out at me was that she had recreated performances of other artists. I’m curious if you have thoughts on that. You know how many people believe there is nothing like the original? That remakes or re-interpretations are derivative and unoriginal? I don’t think that at all. At some point in time, someone else on earth has thought what another person has thought, said what has been said, or wrote what someone else has written. However, the re-interpretation, re-imagining, re-contextualization is what intrigues me. I say to the artist, “Bring forth something ‘new’. Make me think and you’ve succeeded. Does it always succeed? Probably not BUT the all the iterations help create experiences and stories that can be shared and discussed. Ha, keeping up? I’m barely hanging on! I suppose it’s not that different from performing (remaking? reinterpreting?) a play or a symphony. Though of course the playwright or composer *expects* their work to be performed again and again, and I’m guessing that’s not the case with performance art. “Does it always succeed? Probably not BUT the all the iterations help create experiences and stories that can be shared and discussed.” I like that! I think certain topics never lose their fascination, and when art is taken up by another artist, the “conversation” benefits from the re-interpretation: it delves a little deeper. When we have cemented our ideas and scorn the re-imagining, that’s when the trouble starts. The cocoon starts tightening at that point, and we become narrow in our views.